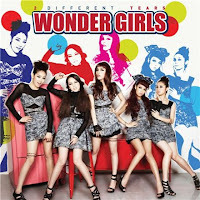 Idol groups Kara, 2PM, Wonder Girls, and Beast are boarding planes for America. They are going to America to perform at the May 1st ‘Korean Music Festival’ in LA’s Hollywood Bowl. This is the 8th KMF. Kara has entered a period of rest after finishing their promotions for their current album, while 2PM has just entered promotions for their third single album’s title track ‘Without U.’ 2PM, who is departing on the 29th, has already pre-recorded comeback performances for regular music programs that will air from the 30th. The Wonder Girls, who are releasing a new album in May, will take the stage with new member Hyelim. Until now, they have been the opening act for the Jonas Brothers’ tour across America, so the atmosphere of American activities and American stages are not unfamiliar to them.